Our home is a double story brick home with three bedrooms up stairs and a study bedroom downstairs. The master bedroom has an ensuite and is air conditioned. There is an open plan sunken lounge which is also air conditioned and opens onto the patio which overlooks the swimming pool. There is a large kitchen with European appliances and seperate laundry which is accessible via the 2 car garage. We are prepared to leave our Volvo 850 station wagon for use by drivers over 25 years of age. We are an Australian/Finnish family of four. Two adults and two teenage daughters. The youngest daughter finishes high school at the end of November and so it is an opportune time for us to spend some time (3 months) back in my wife's country of birth. We also have a Golden Retriever "Gina" who is 11 years old and even though she has already travelled to Finland once already, would would prefer to leave her home this time. 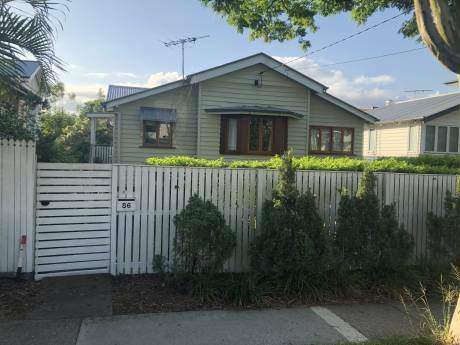 The house is situated in the modern suburb of Westlake, 20 kms from the centre of Brisbane which is accessible by a freeway in a car(20min) or by bus (30 min). There is a golf course 5 mins away and two health clubs in the area. 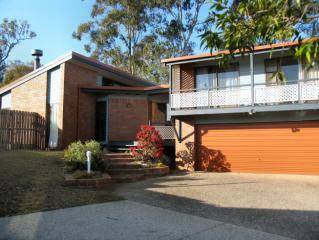 The suburb is bounded by the Brisbane river and there are views of the lake from the upstairs bedrooms. 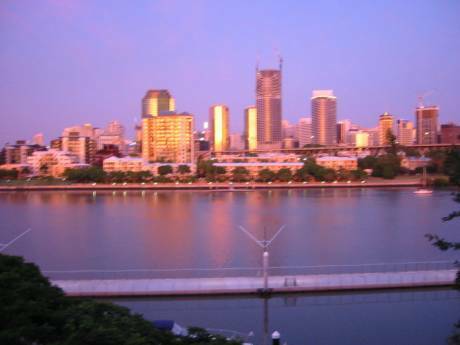 The tourist attractions of the Gold Coast and Sunshine Coast are approximately 1 1/2 hours away by car.